Leipzig/Göttingen. A new study shows that, in addition to species richness, plant evolutionary history plays a critical role in regulating year-to-year variation of biomass production in grasslands. In the face of climate change, understanding the causes of variability in key ecosystem services such as biomass production is essential. A team of researchers led by the German Centre for Integrative Biodiversity Research (iDiv), University of Göttingen, and Senckenberg Biodiversity and Climate Research Centre (SBiK-F) has published the results in Nature Ecology and Evolution. They show that multiple factors, including biodiversity and climate, jointly reduce annual variation in grassland productivity. Biodiversity is much more than just counting species; it also includes diversity in how plants function and in the history of how they have evolved. Despite the growing appreciation for biodiversity and its role in buffering the impacts of vital ecosystem services, these other aspects of biodiversity are frequently overlooked. 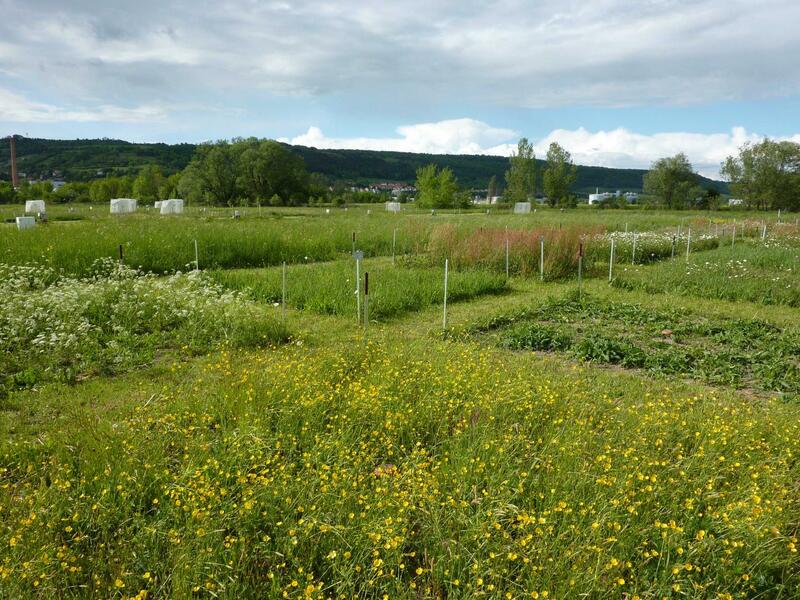 An international team of researchers examined how multiple facets of biodiversity contribute to year-to-year variation in grassland biomass production. The researchers measured biomass, which is the dry weight of plant matter (including grassland and other species). "We show that grassland communities with high species richness and high diversity in evolutionary history show reduced variation in biomass production," says Dylan Craven, lead author of the study, who summarised the results of the sTability synthesis workshop at the German Centre for Integrative Biodiversity Research (iDiv). He is now postdoctoral researcher at the University of Göttingen. "Our results suggest that greater diversity in evolutionary history makes biomass production in grasslands more stable because these communities are less vulnerable to herbivore attacks or pathogen outbreaks." The researchers also found that biomass production of plant communities dominated by slow-growing species typically varied less. Peter Manning, the senior author of the study, says : "We were surprised by these results because we had expected that communities with a greater diversity in characteristics related to plant growth rates would have more stable biomass production, but actually species richness as measured by evolutionary history and genetic diversity were better predictors." However, the researchers caution that lower year-to-year variation does not imply that grasslands will be more productive, and that measures of stability that consider over- and under-production may be more relevant for agro ecological applications.